Norbert Teufelberger, co-CEO of Nevada online poker applicant Bwin.Party Digital Entertainment, was questioned by authorities in Belgium on Tuesday. According to Reuters, the questioning is related to disputes over the firm’s business there, despite Bwin.com being on Belgium’s list of websites not permitted to take real-money bets. Early this year, Belgium first published its “blacklist” of banned sites. Bwin.Party was added to the roster in May. Belgium requires a license to offer web gambling. PokerStars, the firm’s biggest rival in the online poker arena, was one company that received permission to offer games to the nation’s 11 million people. Bwin.Party, owner of the popular PartyPoker and World Poker Tour brands, is the anticipated online poker software provider for Nevada-based MGM Resorts International — one of the largest brick-and-mortar casino companies in the world — and Boyd Gaming. The U.K.-based online poker site applied in Nevada under its subsidiary BP Gaming Entertainment, Inc. The Silver State could be the gateway to the lucrative American market. 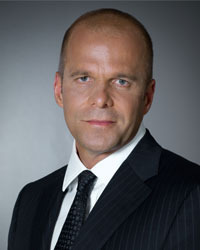 Teufelberger, co-founder of Bwin, was arrested in France in 2006 for a similar dispute. It’s unclear if Tuesday’s development or the firm’s practices in Belgium will have any impact on its Nevada licensing process. State regulators said they look hard at firms that have operated in jurisdictions where the law was muddled. However, given the nature of the online betting world, a perfect compliance record is not thought to be possible.